There are plenty of employment opportunities for a certified nurse aide (CNA) willing to work in Michigan. Demand for CNAs in Michigan has been on a rise in the recent past and is going to be ever increasing with the growing population in Michigan. Do you know what it takes to get CNA certified in Michigan? To obtain a CNA certification you are first required to complete at least 75 hours of training, with a minimum of 16 hours of classroom instruction and a additionally at least 16 hours of hands-on experience under the supervision of a licensed nurse. 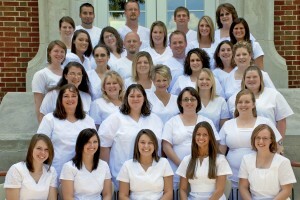 A Michigan CNA Training Program is regulated by the Department of Community Health. Michigan offers a variety of quality CNA programs through many community colleges, hospitals and nursing homes and these programs cost around $750. The nurse aide classes usually last two to six months. The CNA classes provide a perfect platform to the student by providing all the necessary skills and knowledge required by a nursing aide in the field of healthcare. The required curriculum for Michigan includes anatomy and physiology, maintaining patient comfort and sanitation, medical terminology and patient treatment safety. Once graduated from a CNA program, you must successfully pass the State Certification Exam. After passing this exam, your name gets listed on the Michigan Nurse Aid Registry. Nursing Aides applying for CNA certification are also required to undergo a criminal background check and fingerprint submission procedure. It is important to note that the licenses/certificates are issued only after the results of a state and federal background check coming back in good standing. In addition you are required to have a negative TB test within the past 6 months and demonstrate a proof of immunizations. Most courses require students to show a high school diploma or GED. What are you waiting for then? Just get enrolled into one of the CNA training program in Michigan and become a part of this booming field of healthcare. List of approved CNA Training programs for the state of Michigan, broken down into 12 regions. Find cna training classes here.